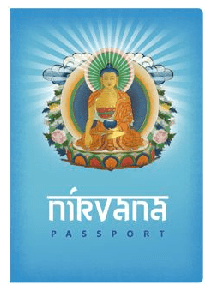 Who needs mediation when you can simply buy a passport to nirvana? It's also a notebook, handy for keeping track of your past lives. Includes travel tips and an official passport information page. 3.5" x 5". 64 pages.